I’ll never pass up a lesson in hairstyles and makeup. Us girly girls just can’t get enough of it, especially when it comes to creating retro pinup looks. One of my favorite vintage stores Playclothes Vintage hosted a cocktail party and brought in a couple of beauty pros to do pinup hairstyles and makeup tutorials for achieving that vintage era look. First up was makeup artist Gloria Alex creating a 1940s pinup makeup look using mostly Besame products, a brand known for making spot-on vintage recreation makeup. 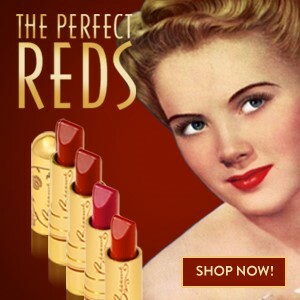 She explained every step of the way how and why the ’40s look was the way it was – from patriotic red lips to keep-it-simple eye makeup. No winged liner yet ladies! That came in the ’50s! Next up was hairstylist Sandra Dee who showed how to do a dry set using a curling iron to roll the entire head of hair. Then she amazed us all with her speed teasing using a bore bristle brush to create a GIANT nest of hair. Then she magically smoothed it into a lovely ’40s pinup hairstyle complete with victory roll. The two also walked us through a ’60s looked they completed earlier on one of the shop girls. Then it was shopping time! 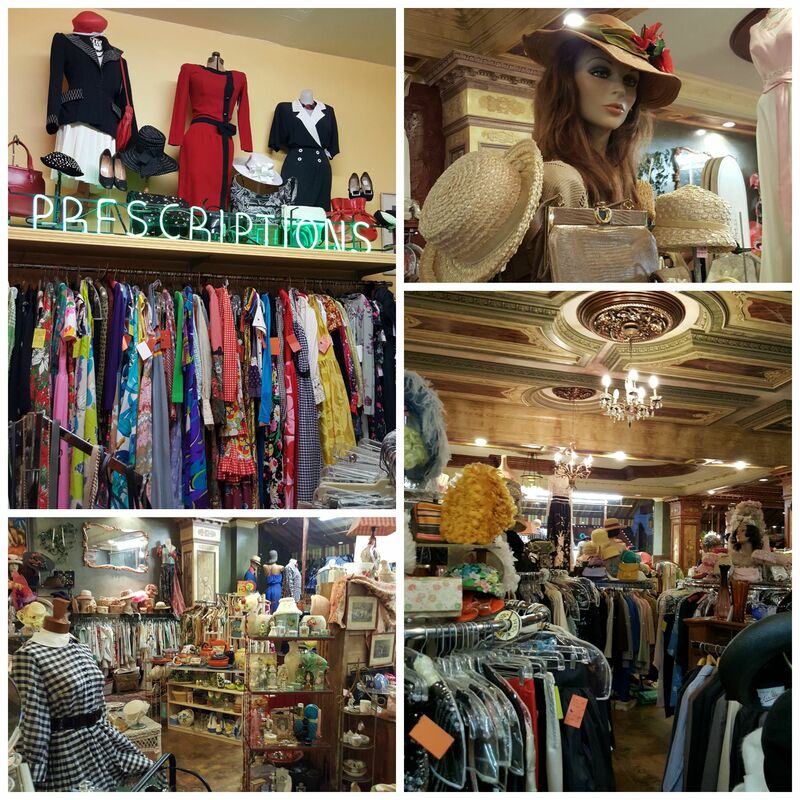 Playclothes is a beautifully laid out store filled with vintage dresses, hats, shoes, handbags and housewares. Not only do they have great stuff at great prices but it’s lovingly art decorated in a gorgeous setting that makes shopping a joy. 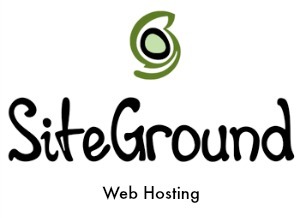 The staff is super helpful too if you are looking for a particular item or era. 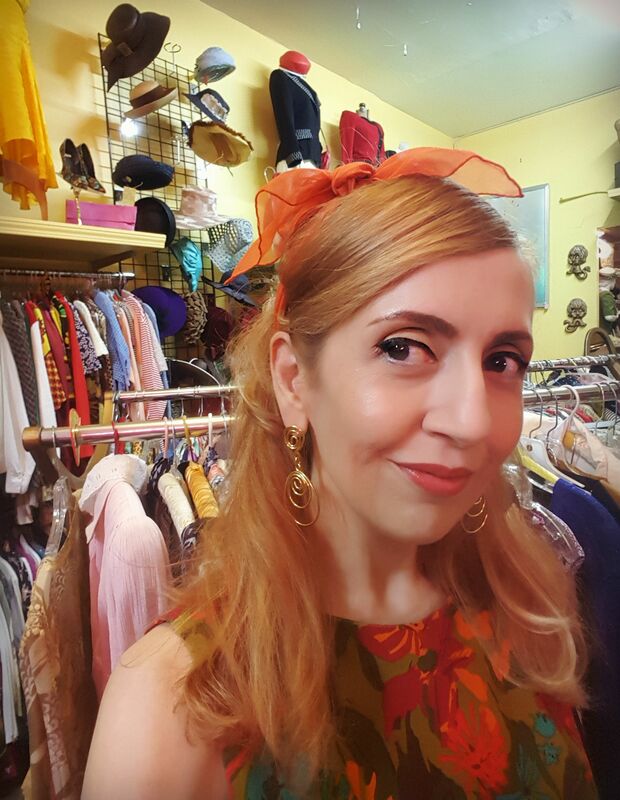 For the evening, I wore a ’60s era dress that I had purchased there previously teamed with a vintage basket purse and earrings I picked up off eBay and shoes from Bait Footware. 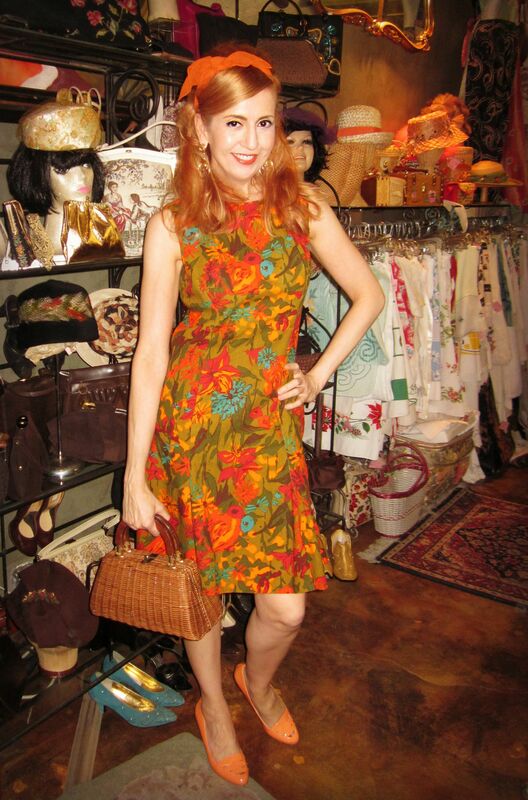 If you’re in LA, be sure to pop into Playclothes Vintage for a great shopping experience. No fantastic vintage shops near you? You can always shop* eBay for some great finds! 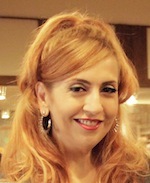 Makeup artist Gloria Alex can be reached via Playclothes Vintage or http://makeupbygloriaalex.com.